Mahi Crepe Tunic Dress from French Connection is a classic tunic shape with a loose fit and 3/4 sleeves that create a balloon effect. 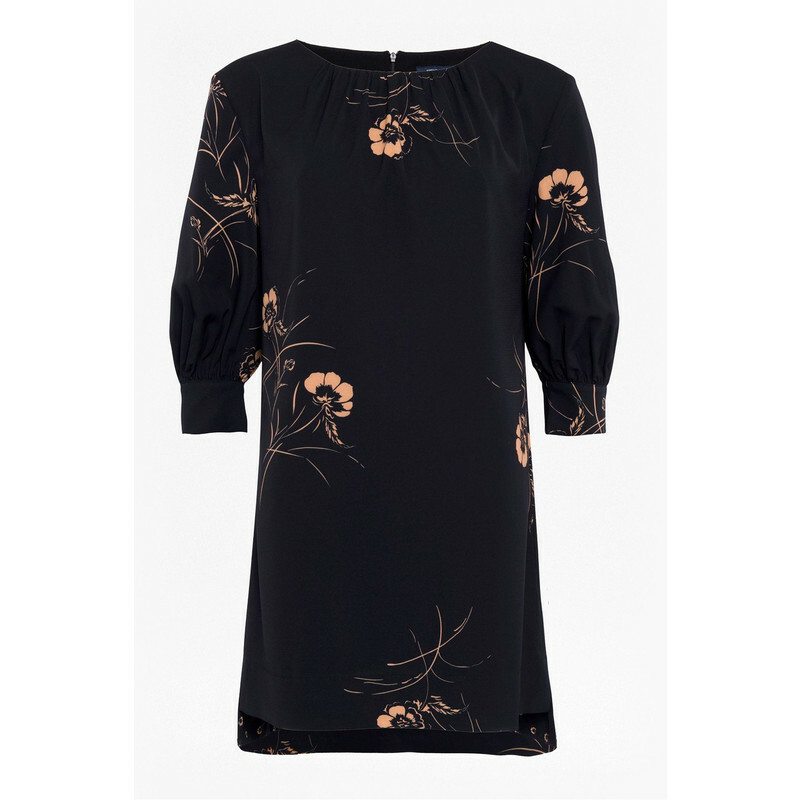 The round neck and floral print make this a great day to evening dress. Pair with flats, heels or boots.